Plantain or Banana Tree symbolically represents Goddess Brahmani. 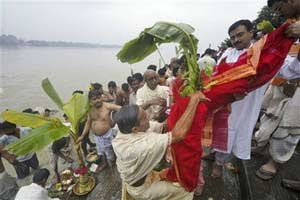 In rituals plantain is referred as Rambha. Kacu or Kachu symbolically represents Goddess Kali or Kalika. 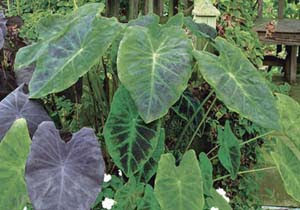 This plant has an edible root and is scientifically known as Colocasia Indica. Turmeric Plant also known as Haridra or Halud represents Goddess Durga. Jayanti represents Goddess Kartiki. 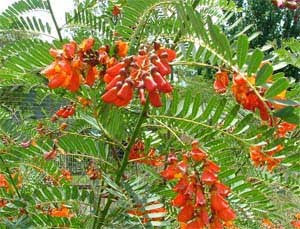 It is scientifically known as the Sesbania plant. Goddess Kartiki is here the consort of Lord Karik. 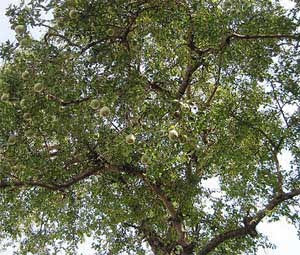 Bilva or Vilva leaves represent Lord Shiva. Bel or Bilva leaves are the favorite of Lord Shiva and this is one of the most popular plants in rituals associated with Lord Shiva. 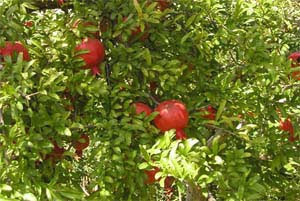 Pomegranate or Dadima or Darim represents Raktadantika. Ashoka represents Goddess Sokarohita. The scientific name of this plant is Jonesia Asoka. 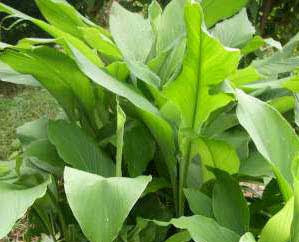 Mankachu or Arum Plant represents Goddess Chamundi. 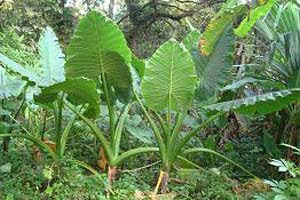 The scientific name of this plant is colocasia antiquorum. 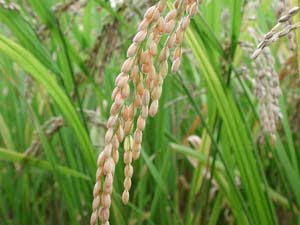 Rice paddy or Dhan represents Goddess Lakshmi. It must be noted that there will be some regional variations in Nabapatrika. 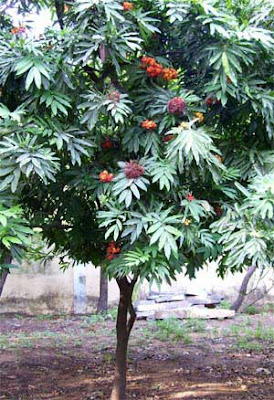 And also it is said that the leaves represents Nine Durga but Lord Shiva is included in the Navapatrika. Also Mankachu and Kachu are two different varieties of the same plant.